Just because you team didn't make the Super Bowl doesn't mean you can't throw a party. The snacks and commercials alone are worth having friends over, and Amy has created the perfect Super Bowl party printables for when your team didn't make it to the big game. 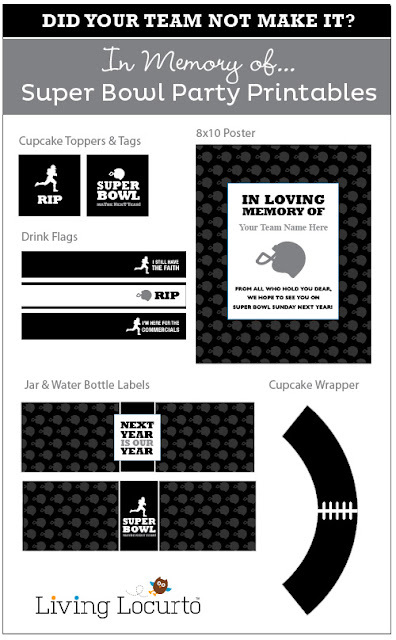 You can download these funny RIP printable Super Bowl printables over at Living Locurto.